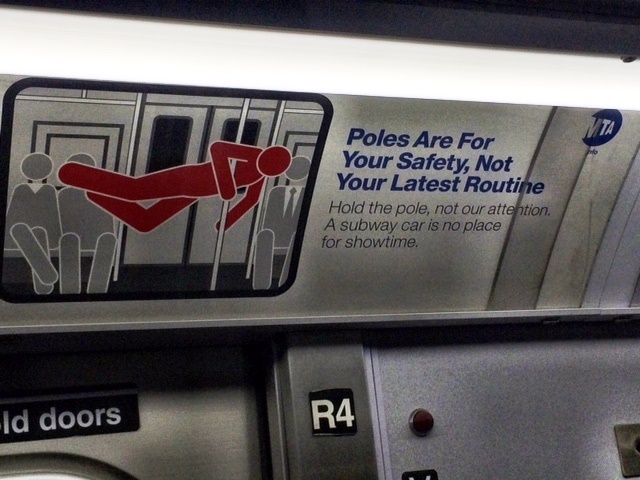 I thought the MTA ad was visually eye-catching, clever, and humorous. It communicated a lot of information in a few words. The left alignment of the text makes the sign more readable. The font choice – Helvetica – is consistent with other signage in the subway system and also makes the sign readable. As I began looking for examples of less effective signage, I turned my attention to signs advertising goods or services and I found some really interesting examples of bad design. 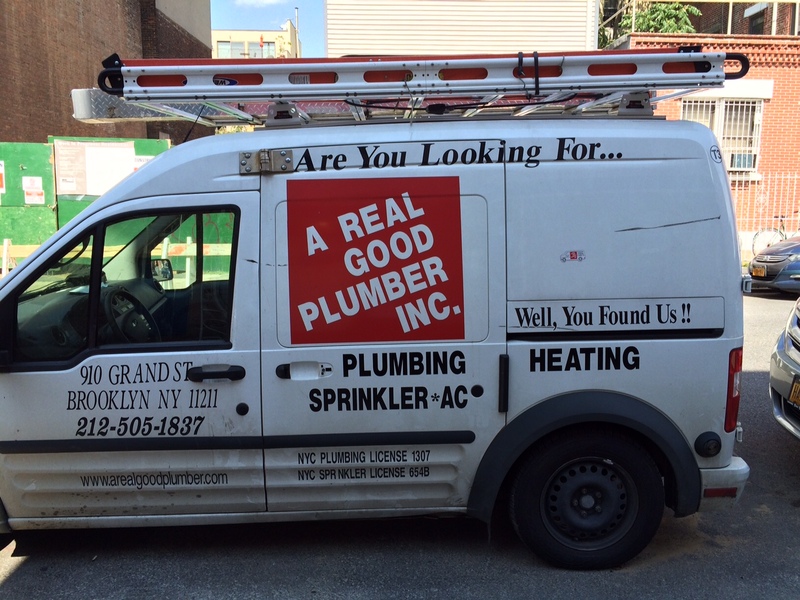 A truck advertising plumbing services. Although the logo isn’t terrible, the hierarchy of information on this truck makes your eye move around before you can find the important information. I don’t even know what I’m looking for. 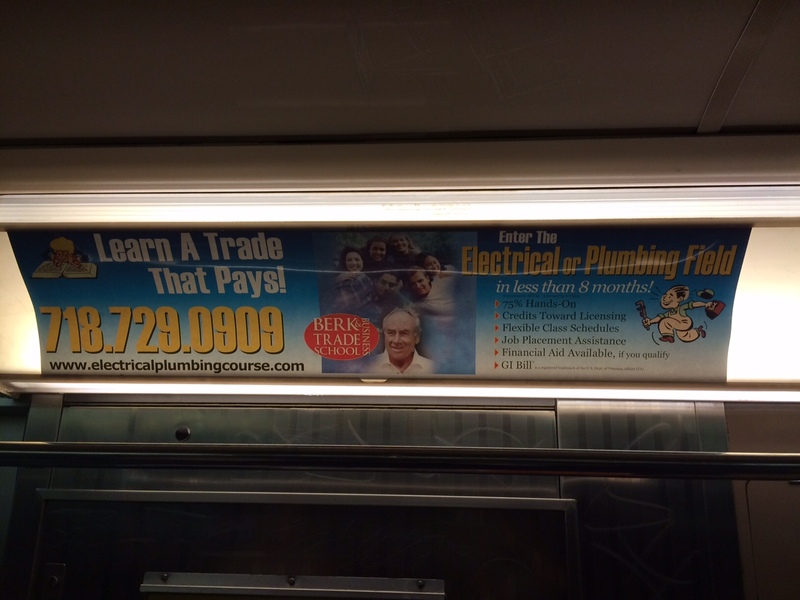 An ad on the subway for educational services. The font, the spacing, the choice of photographs and clip art adds up to a really ineffective advertisement. The placement of the “E” and the “L” in “Electrical” makes little sense. 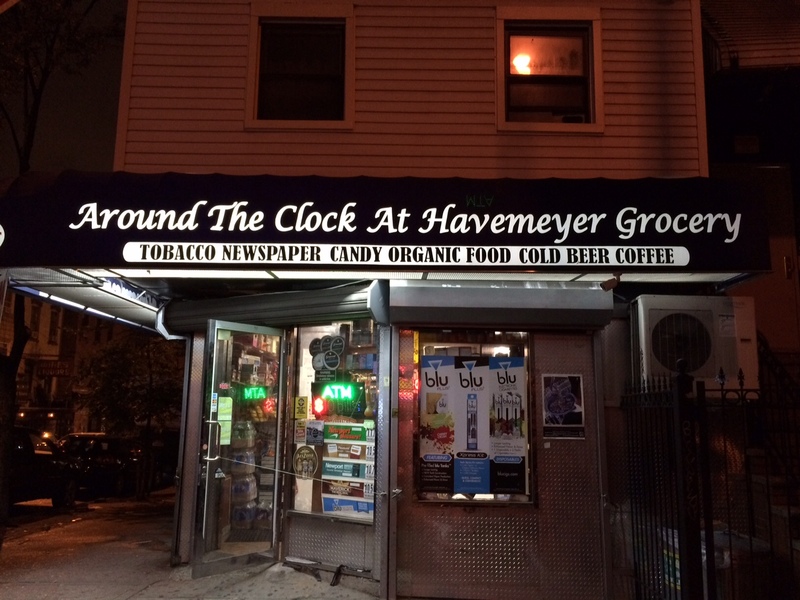 A corner bodega. The sign isn’t terrible, however I think the hierarchy of information could be improved.